The aim of this section is to give you a virtual tour of the practice. Hopefully we can give you an idea what lies 'behind the scenes'. Our aim is to make the practice as welcoming as possible, with friendly and helpful staff who are always ready to give advice on health and dietary matters. We hold a large range of life-cycle diets and other health care products available over the counter. 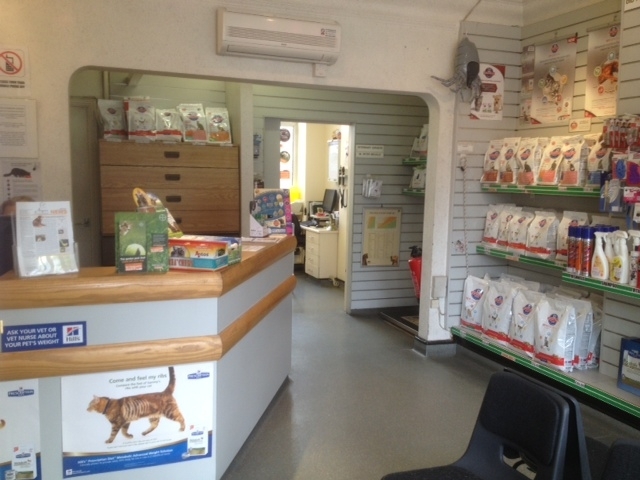 Our pet shop also has a wide selction of toys, collars, leads and treats that you can browse at your leisure.